Gadchiroli revenue district was earlier part of Chandrapur District. Gadchiroli District was formed from 26th August, 1982. The Court of Additional District Judge and Additional Sessions Judge was established at Gadchiroli in the year 1989 and since then one Additional District Judge and Additional Sessions Judge, and Ad-hoc Additional District Judge and Additional Sessions Judge used to work at Gadchiroli. 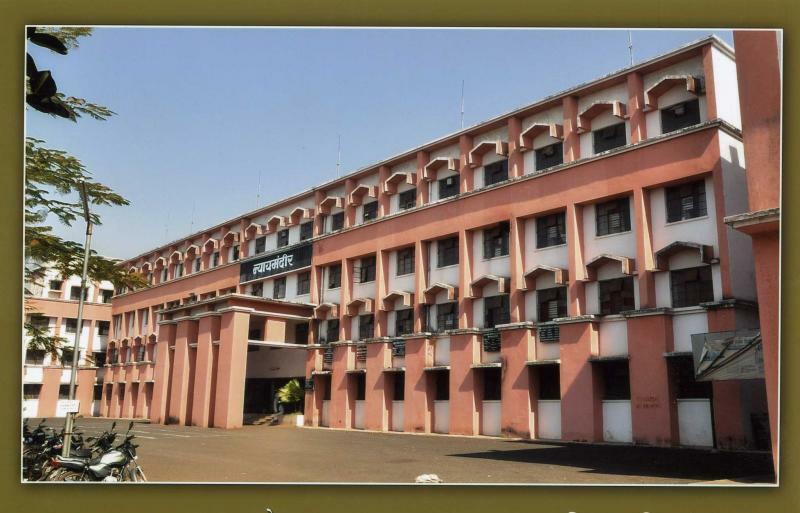 However, Gadchiroli Judicial District has been separated from old Chandrapur Judicial District and an independent District Court started functioning at Gadchiroli with effect from 3rdJuly, 2004. Shri.M.N.Patale was the first Principal District and Sessions Judge of District Court, Gadchiroli. Civil & Criminal Court, Sironcha is one of the oldest court of the Gadchiroli Judicial District. No case, having historical value is proceeded in this Judicial District. The town Gadchiroli is situated about 180 Kms from Nagpur and 80 Kms away from Chandrapur, 200 Km from Bhandara of Vidarbha region. The district has well connected road links to other adjoining districts as Chandrapur, Bhandara & Nagpur. It takes around two hours journey from Chandrapur and 4 hours journey from Nagpur by State Transport Bus to reach Gadchiroli. Also, private luxury buses are run from Nagpur and Chandrapur for Gadchiroli. There is only one railway route of 18.48 Kms in the district which is spread from Bramhpuri (Chandrapur) to Wadsa (Gadchiroli). The city is not connected to the Railway. Gadchiroli was a subdivision of the erstwhile district of Chandrapur and was carved out as a separate district of the state on 26th August, 1982. The district is located in the north-eastern part of the state bordering Durg, Rajnandgaon of newly created Chhattisgarh State on the east, Chandrapur on the west, Bhandara on the north and Karim Nagar, Adilabad of Andra Pradesh & Jagdalpur(Chhattisgarh State) on the South. The prime visiting places in Gadchiroli are: Shiv Temple at Markanda (Ta-. Chamorshi), Hanuman Temple at Chaprala (Ta- Chamorshi), Hunuman Temple at Semana (Tq.Gadchiroli) etc. The district is categorized as Tribal and undeveloped district and most of the land is covered with forest and hills. The main river basin of the district is the Godavari, which flows west to east and forms the southern boundary of the district. The major tributaries of the Godavari are the Indravati and the Pranhita, which is in turn formed by the confluence of the Wainganga and the Wardha near Chaprala village of Chamorshi Taluka.Dhanora, Etapalli, Aheri and Sironcha talukas in the eastern part of the district are covered by forest. Hills are found in Bhamragad, Tipagad, Palasgad and Surjagad area. Due to proximity towards Andhra Pradesh and Chhattisgarh it is worst affected by Naxalites taking shelters in the dense forest & hills of this district. Forests cover more than 79.36% of the geographical area of the district. This district is famous for bamboo and Tendu leaves. Paddy(Rice) is the main agricultural product of the district. There is no large scale Industry in the district except the paper mill at Ashti in Chamorshi Taluka, and the paper pulp factory at Desaiganj. There are many rice mills in the district. The Tussar silk worm centre is in Armori Taluka. The district is well known for Naxalite activities; Naxalites (People's War Group) have taken shelter in the dense forests and hills of this district. As per the 2011 Census of India, the population of the district is 10,71,795. Male and female population is 5,42,813 and 5,28,982 respectively. Seven languages are spoken in the district ie, Gondi, Madiya , Marathi, Hindi, Telugu, Bengali, Chattisgadi. A visit to the Gadchiroli forest will excite the wild life enthusiasts and tourists.